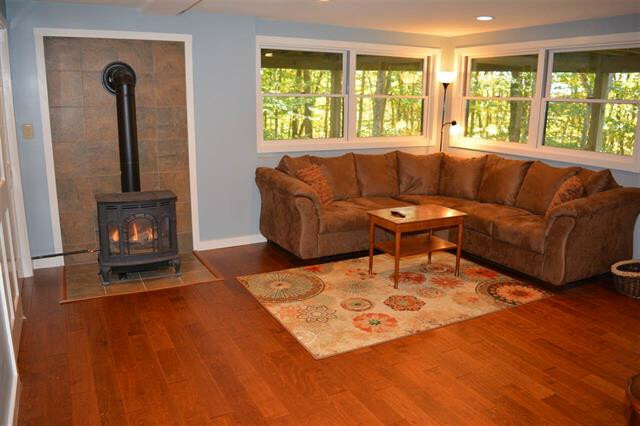 3-Bedroom, 2-Bath Contemporary Home w/ Wooded Privacy! 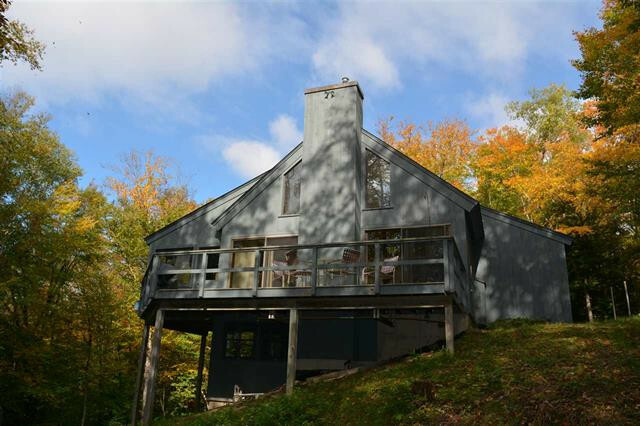 Private contemporary home located in the Eastman Community. Newly renovated items include new floors on walkout lower level, propane stove with tile accents and remodeled bathroom, laundry room and utility room. Tiled entry with closet leads to an open and bright great room with cathedral ceilings, brick hearth and two sliders to the back deck. Loft area offers many possibilities, like an office, den, or craft area. First floor master bedroom with two more bedrooms on the lower level along with a beautifully renovated family room (see below) for even more living space. 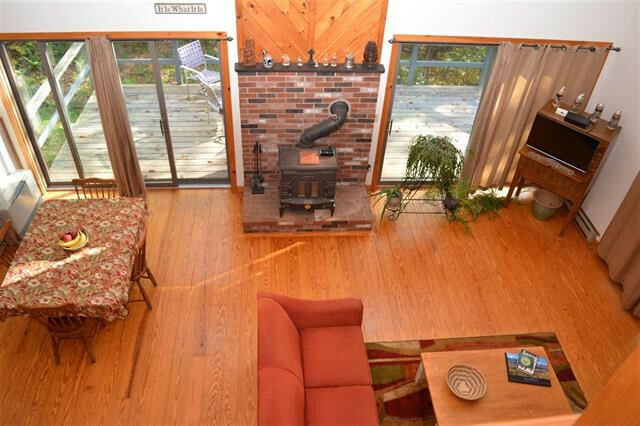 Enjoy the outdoor beauty of Eastman from your 3 season porch and large private deck. 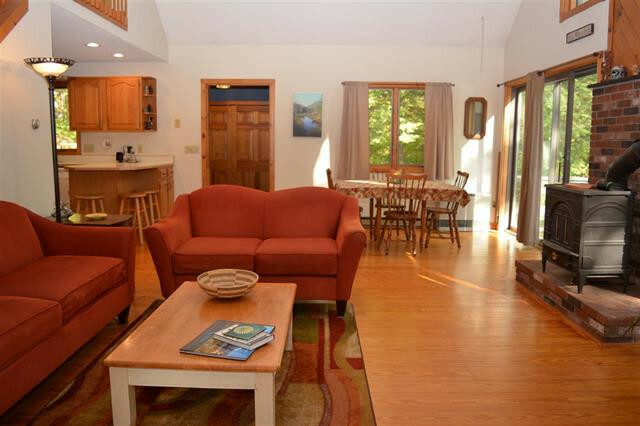 Eastman Lake and walking trails are just seconds away! Eastman is a four season community with adventures for every age! In warmer months enjoy swimming, kayaking, paddle boating, walking trails around the lake, community events and Eastman Golf Links. Once the winter hits enjoy cross country skiing, snowshoeing, and sledding. Visit the South Cove Activity Center for year round swimming and exercising! This listing is currently "Active Under Contract". Call Max Shepherd at 603-359-6912 or email max@sheprealty.com for more details.